So, you’ve decided to investigate new Veterinary Practice Management Software. There's no reason to sugar coat it, understanding the differences between software is not easy. The first choice you will encounter on your journey is whether to buy server-based software or cloud-based vet software. Each road leads down a very different path and will have different implications for how you manage your software and hardware. So, without further ado, let’s look at a high-level difference between server vet software vs cloud vet software. With a server-based software system, the software is installed locally on the server (just like you install windows on your computer). All computers in the clinic are then networked to this central server, which allows the same data to be available on all computers in the clinic. 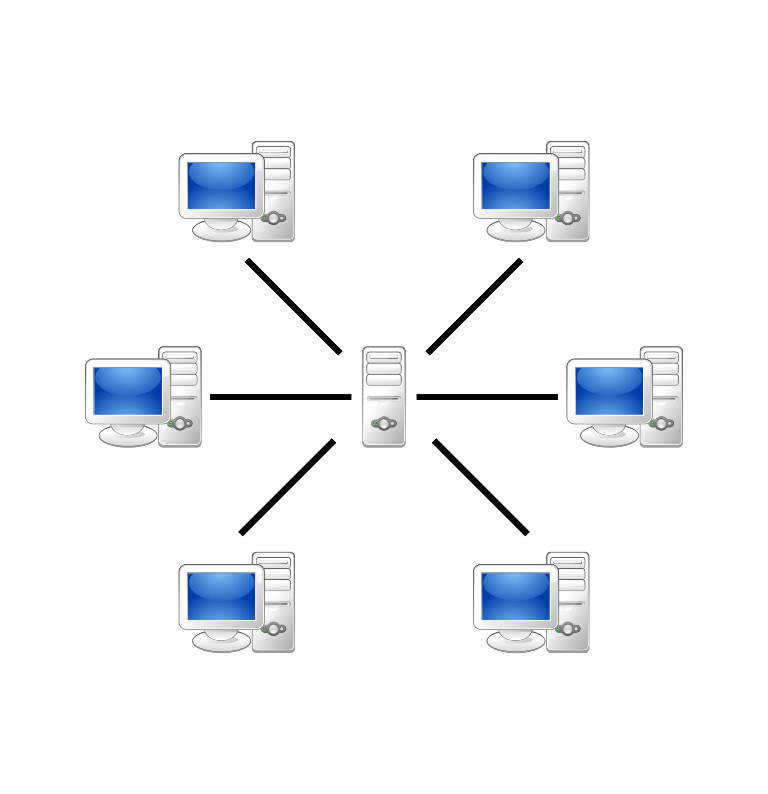 The advantage of having a server as that your software can operate without an internet connection, however you are at the mercy to the server. As you can imagine, the hardware requirements to set this up are fairly robust. For modern server-based systems, you will experience high upfront costs with beefy server computers costing thousands of dollars. As servers become obsolete, they are required to be replaced every 3-5 years. It is essential to factor server replacement costs in to your long term forecasts. In case you are wondering what we mean by 'mercy of the server', we are sure you have had the experience of your computer freezing before? Or perhaps your computer has been running very slow? This is no different to what can happen with servers, and these pains can not be overlooked. When this happens, often a visit from an expensive IT professional is in order. High initial cost – The cost of a server based hardware environment for a new clinic is typically around $20,000 - $30,000. Nightly backups are required (if this is not done and something happens to the server, your data is gone). Typically an external IT company is required to look after the server and issues that go along with that type of hardware environment. Updates are not automatic, are are not always free. They need to be downloaded and installed. This can mean significant periods of downtime for 24/7 hospitals, and after hours’ upgrades for general practices. To run multiple locations on one server requires an even beefier hardware infrastructure, and the pain of running a VPN. With a cloud-based software system, the software is stored on servers outside of the clinic. This means you are accessing your software through the web (just the same as Gmail). The advantage of a cloud setup is that the beefy hardware is looked after by a third party and therefore your hardware requirements in the clinic are minimal. Any device with an internet connection will give you access to your software. This means your hardware setup cost, and ongoing maintenance cost is much lower. You are also able to access the software outside of the clinic on any device with ease. The most common concern that comes up with cloud software is “What if the internet goes down?” The answer is that you do not have access to the software during this time. However, if you dive a little deeper you will see that internet connectivity is now very easy to keep constant. You are not limited to having one internet connection. For example, you can buy a router that has a primary connection (broadband) and a secondary “fail-over” connection (3G/4G). This means if the broadband goes down it will automatically switch to 3G/4G until the broadband comes back on. The chances of both networks going down at the same time is very slim as if they crash it is typically for different reasons. Another common concern is “How secure is my data?” With ezyVet your data is stored in the Amazon AWS cloud. The Amazon environment is so secure that banks and even the US government is comfortable leaving sensitive documents there. Everything is encrypted. You have a much higher chance of somebody breaking into your clinic and stealing your server, than you do of your data being compromised in the cloud. Also, your data is backed up in several locations at the same time, and therefore if there was a natural disaster that wiped out some of Amazons servers, you would still be up and running with no loss of data. Simple and flexible hardware requirements. Any device that has a web browser and an internet connection. Access anywhere, at anytime, as long as you have an internet connection. If you bump in to a client at the supermarket, bookings can be made right there and then! No backups are required (data is always backed up in several locations) – if the clinic burns down, you still have your data. Updates are automatic. To receive them the webpage simply needs to be refreshed. This allows for updates to happen regularly without interrupting workflow. This means cloud software is agile and can be developed faster. This allows software companies to focus on what they’re good at, and then integrate with other software products that dedicate their business resources to solving a different business problem. A good example of this is accounting software. Many of the server-based EMRs have a rudimentary accounting system built in. It is not their core business, but they have tried to be a one-stop shop, doing many things, but perhaps not so well. Whereas in the cloud, there are excellent accounting software systems already in existence such as Xero or Quickbooks Online. Both of these products can easily be integrated to a cloud-based EMR. This means your EMR software company can focus on what they’re good at, the EMR, and the accounting software companies can focus on what they’re good at, accounting. Therefore, you as the customer, get a significantly better overall product. Many minds and hands are better than a few. Buying software is a long term purchase. Most clinics stay with the same software package for many many years. Therefore, imagine where software is going to be in 5 years? Do you think that Legacy server-based systems are going to be the innovators making leaps forward in terms of technology and efficiency? Buying software is an investment in your practice. Any smart investor always looks at the long term gain of their decision. We would encourage you to do the same!